Effective remedies for fading away dark spots or hyperpigmentation.. 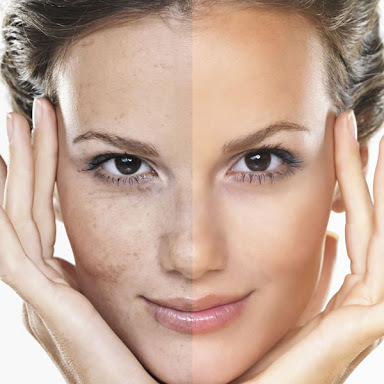 Dark spots is medically termed as hyperpigmentation ,which occurs when the skin is exposed to sun. It causes increase in production of melanocyte cells, causing darkening of skin or black spots. In few cases, it can also be a sign of aging. There are unlimited cosmetics options available in the market to conceal these spots but may be of no avail in the long run . Also can be a reason for skin damage ,if used for long. So below are few simple and effective natural tips ,which aid in vanishing these dark spots. 1. Combination of 4 teaspoons of butter milk and 2 teaspoons of tomato juice serves as an effective solution to fade away dark spots. 2. Massaging the pigmented area with vitamin E oil works wonders in eliminating acne scars and brown spots from face. Similarly, honey can also be applied.